The Place to Shop for Berber Carpets in Marrakech! Known for their colorful designs with Berber motifs, vintage Moroccan rugs are traditionally hand woven by skilled women artisans in Morocco and no two are the same. 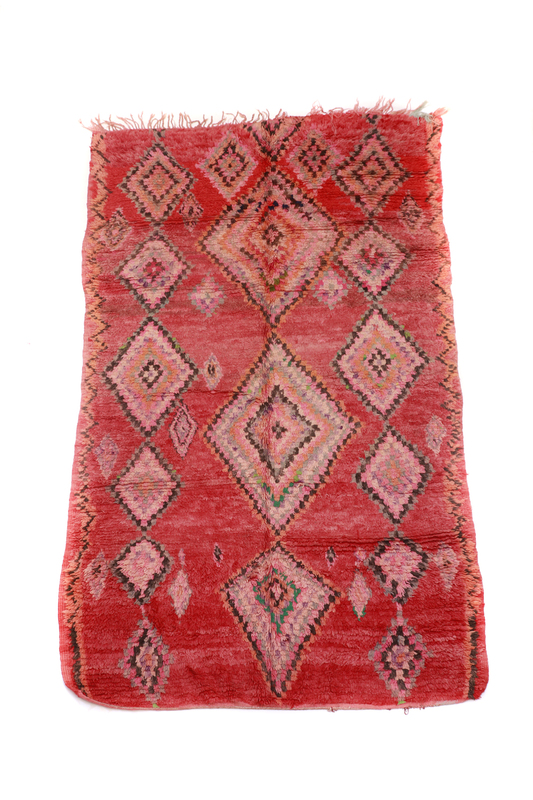 Handwoven by Berber women in the central Moroccan province of Azilal these rugs incorporate geometric shapes in multiple colours of wool tainted with vegetable dyes. Wholesale Available! Contact us today.